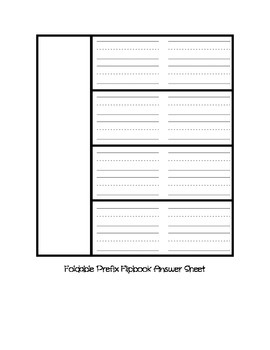 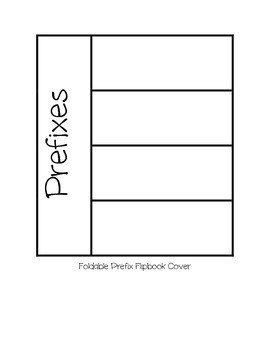 Simply copy the cover page and answer sheet then either glue or staple them together to create a foldable flipbook to help students learn and study new words with prefixes. 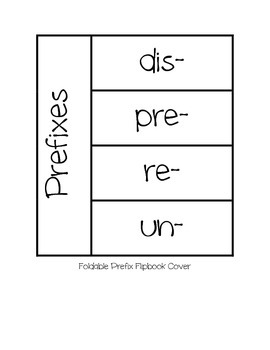 Students can list words as they come across them in reading texts or part of word work activities. 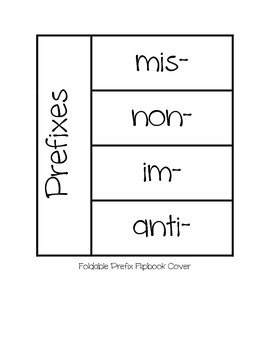 Included is 24 common prefixes and one blank cover page as well.